Ah, Saturday morning… what a bliss. Well, maybe not when you woke up with a heavy head from the night before, but still, he best time to wash away the week’s stresses and embark on a relaxation ritual. And the new Dove nourishing care shower oil is the perfect product for that. I put a white fluffy robe on, put a face mask on, read a magazine while sipping some coffee. There is always a candle or diffuser somewhere in the house! Using some sugar or a polish, I give my body a good scrub to get rid of dead cells, stimulate circulation and soften the skin. If I’m feeling it, I sometimes dry body brush before. I then shower, first removing the face mask. I was never a bath person as I have low blood pressure and it tends to plummet really quickly in the bath. A good shower washes away the physical dirty, but it is also an opportunity to clear the mind. The shower oil contains Moroccan argan oil and creates a gentle lather when in contact with water, cleansing and nourishing the skin, without stripping the protective barrier. The oil is luscious, non-stick and smells amazing. Skin feels soft and moisturised. Sugar can be mixed with the shower oil to give skin a gentle exfoliation too. 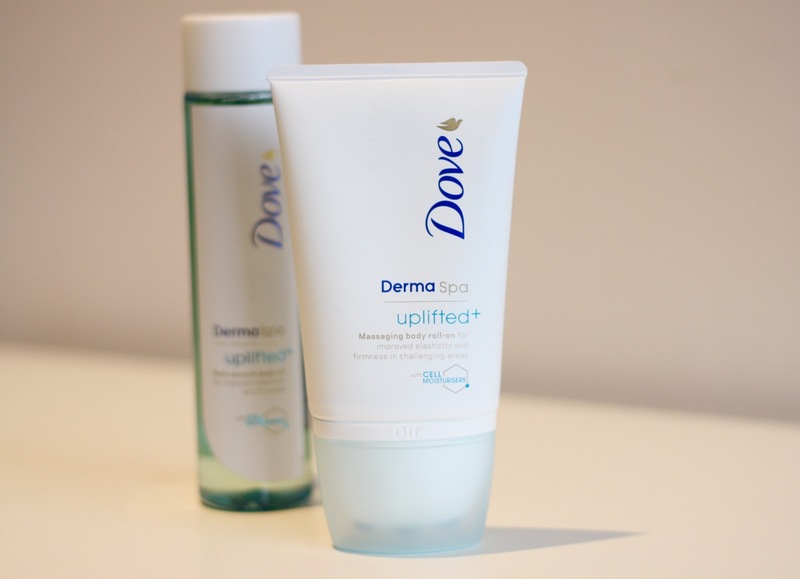 After my shower, I don’t need to moisturise, but every three days I use the Dove Dermaspa Summer Revived, a tanning moisturiser that keeps the glow going. I then moisturise my face; most of the times, if I am staying at home, I will put on a great facial oil such as dermalogica’s phyto replenish oil, Skin & Tonic Naked Beauty or Dr. Jackson’s. The Dove nourishing care & oil range also contains a body wash, which has a blend of Moroccan argan oil beads for that extra nourishment, and a classic beauty cream bar with added moisturisation from argan oil. Always with 1/4 moisturising cream! The Dove nourishing shower oil costs £4 (RRP), the nourishing care & oil body wash, £2.50 (RRP) and the cream oil soap bar under £1.